Website design samples of CMS, hosting and development. Below are a few examples of projects that we have designed and developed. Roll-over the image to see more details. If you require a complete client list, please submit an online request. South Carolina HomeCare. 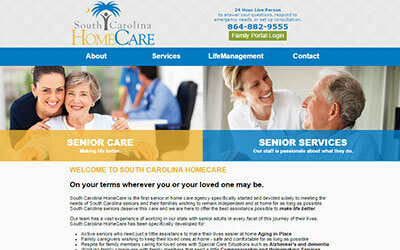 provides in-home services to seniors and their families in South Carolina. This responsive designed website features has a modern and faster loading interface, is mobile friendly and is fully optimized for the search engines. 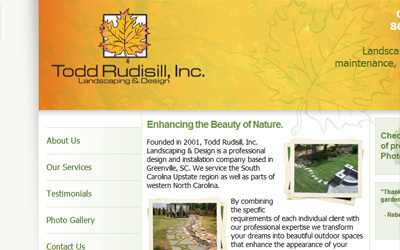 Todd Rudisill, Inc. provides landscape design, lawn maintenance, paver installations as well as other landscape service. This re-designed website features a more modern and faster loading design as well as all new dynamic features. Fully optimized for the search engines and with a full content management system. A new upscale bar and restaurant located in the hot West End area of South Main Street, downtown Greenville, SC. 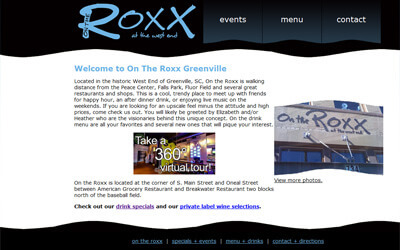 On The Roxx offers an "upscale feel without the snobbery". 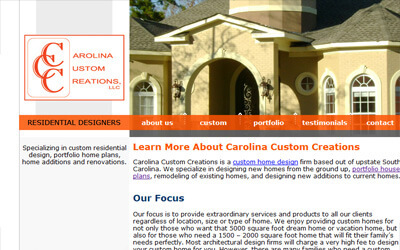 Website for Carolina Custom Creations which specializes in custom residential home design, portfolio house plans, home additions and renovations. 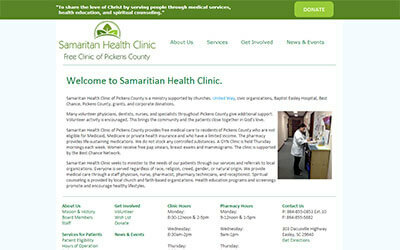 Samaritan Health Clinic, is a free health clinic offering free medical care to residents of Pickens County who are not eligible for Medicaid, Medicare or private health insurance and who have a limited income.